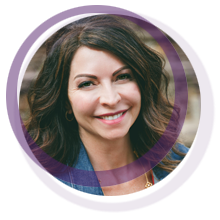 Dr. Barr grew up in Michigan and attended The University of Michigan, earning her DDS. She completed her MSD in Endodontics at Boston University. Dr. Barr became a Diplomate of the American Board of Endodontics in 2010, and considers this one of her proudest achievements. She is an active member of several study clubs and dental societies. She has served as the Vice President of the North Carolina Dental Society. She enjoys spending time with her husband and twins as well as hiking, travel, volunteering and playing with her dog, Comet. Dr. Spencer is originally from Arizona. He received his Doctor of Dental Surgery from the University of Nebraska. He practiced general dentistry with his father in Phoenix, AZ. Later he received his Master of Science in Endodontics from Virginia Commonwealth University. 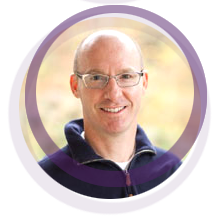 Dr. Spencer is an active member of the American Association of Endodontists, Tarheel Endodontic Association, North Carolina First District Dental Society, Buncombe and Hendersonville County Dental Society and the Carolina Mountain Study Club. He and his wife, Deborah, have two daughters, Katherine and Caroline, and reside in Asheville. 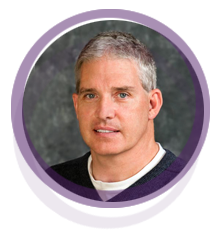 Dr. Brad Stone is a Board Certified Anesthesiologist and Pediatric Anesthesiologist, a medical doctor providing sedation and anesthesia for patients of all ages. Dr. Stone received his undergraduate degree from Northwestern University in 1979 and his medical degree from the Medical College of Ohio (University of Toledo) in 1982. He completed residency in anesthesia at the University of Florida in 1985, where he received advanced training in pediatric anesthesia. He was initially certified by the American Board of Anesthesiology in 1987 and has twice recertified. He was certified in pediatric anesthesiology in 2015. He is licensed to practice in NC, SC, GA, VA and TN. He is certified in basic life support, pediatric advanced life support and advanced cardiac life support. Dr. Stone has been a long time ambulatory surgery center director (16 years) with extensive experience in anesthesia for dental procedures and in the care of children. Dr. Stone has been involved dental office anesthesia since 2003. In addition, he was the director of anesthesia education for the MAHEC dental general practice residency. Dr. Howerton received a DDS degree from West Virginia University School of Dentistry in 1985. 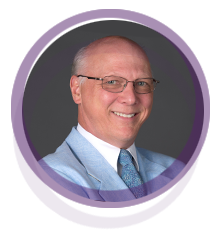 He completed a certificate of Endodontics from the University of North Carolina School of Dentistry in 1987 and practiced surgical and nonsurgical endodontics in Asheville, North Carolina. In 1999, Dr. Howerton entered the UNC Oral & Maxillofacial Radiology graduate program and completed a Master of Science in 2001. As of December 2003, Dr. Howerton became a Diplomate of the American Academy of Oral & Maxillofacial Radiology. In 2004, Dr. Howerton began private practice in oral and maxillofacial radiology in Raleigh, with Cone Beam Computer Tomography imaging as a key feature. Since then, six additional Cone Beam Computer Tomography imaging satellite centers have been created throughout North Carolina. Additionally, Dr. Howerton is a key opinion leader for Imaging Sciences iCAT and Dentsply SimPlant, giving presentations throughout the country regarding Cone Beam Computer Tomography and Computer Guided Dental Implant Software.